POICIANA | The woman whose body was found burning in Poinciana on Thursday was the victim of a homicide, Chief W.J. Martin of the Polk County Sheriff’s Office said this afternoon. 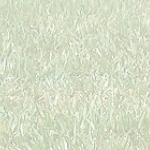 Investigators have not identified her. How she was killed is not being released at this time because this is on ongoing investigation, said Martin, who leads the Criminal Investigations Division. Martin said someone who knew the victim would probably be able to recognize her despite the damage caused by the flames. 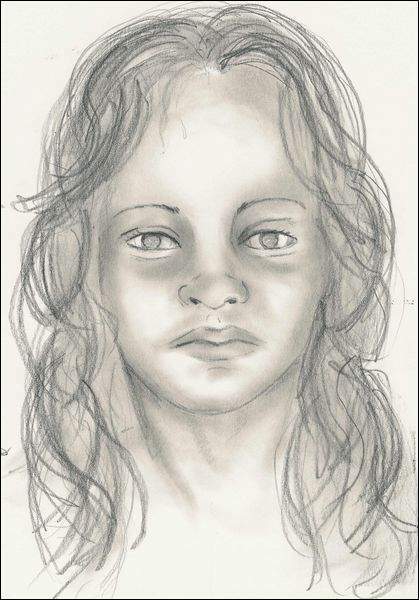 The woman was described as 15 to 19 years old, 5 feet, 5 inches tall, and weighing 105 pounds. She was probably white, but may have been Hispanic or Asian. She was wearing Nike cross trainers of undetermined color. She had light brown hair with red streaks dyed in that was 15 inches long and had blue hair extensions. She may have been wearing a belly ring. Her eye color could not be determined. Her appendix had been removed and she had a cist on her right ovary for which she may have been seeking medical attention. Martin said investigators believe she was killed within a few hours of her body being dumped at a planned subdivision with paved streets but no homes on Marlin Road, off Lake Marion Creek Road. The body had not been on fire before the Polk County Fire Department arrived to put out the flames. A resident in the Lake Marion Creek School area call the Fire Department after smalling smoke about 9 a.m. Thursday. Firefighters discovered the body after putting out the 1-acre fire. The fire was set in an attempt to destroy the body and evidence. With the nearest homes about half a mile away, detectives have not found any witnesses. The woman has not been linked to any recent missing persons cases in Polk. 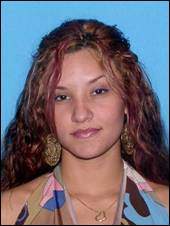 Published: Friday, November 9, 2007 at 8:58 a.m.
POINCIANA | The young murder victim whose body was found in Poinciana last week has been identified through dental records as 22-year-old Solymarie Roman of Orlando. Her boyfriend, Mourad Balzourt, 28, of 5002 Bellthorn Drive in Orlando, is a person of interest in her homicide, according to the Polk County Sheriff's Office. Roman's family members contacted the Polk Sheriff's Office on Wednesday after becoming concerned that they had not heard from her since Oct. 31, the day before the body was found, sheriff's spokeswoman Carrie Rogers said. The body was found Nov. 1 as firefighters were extinguishing a brush fire apparently set to destroy the evidence of the homicide. Balzourt is being named a person of interest because he was the last person to see her alive, she was living with him as his girlfriend, and he has made several conflicting statements to detectives, according to the Sheriff's Office said. He will no longer speak to detectives, choosing instead to consult a lawyer. Balzourt has a criminal history in Orange County, including domestic violence, according to the Polk Sheriff's Office. Balzourt may have been driving Roman's 2007 silver Ford Edge in the area where Roman was found. Detectives are still investigating the homicide. Anyone with information is asked to call the homicide unit at 863-534-6379 or Crime Stoppers at 1-800-226-TIPS. The body of Solymarie Roman, 22, was found in Poinciana after a brush fire. Published: Saturday, November 10, 2007 at 6:01 a.m.
POINCIANA | The burned body found in Poinciana after a brush fire earlier this month has been identified as 22-year-old Solymarie Roman, and Polk Sheriff's Office detectives said they are concentrating on her boyfriend in their investigation. Mourad Balzourt, 28, shared his home at 5002 Bellthorn Drive, Orlando, with Roman for the past few months. He is thought to be the last person who saw her alive before her body was discovered Nov. 1, and he has given conflicting statements to detectives, according to sheriff's spokeswoman Carrie Rodgers. Balzourt has since stopped cooperating with PCSO. He has a criminal history in Orange County, including domestic violence, Rodgers said. Roman had lived in Florida since childhood, according to Rodgers, and worked at an Orlando-area Holiday Inn. Her parents live in Puerto Rico but kept in regular contact with her. They recently became concerned because they had not heard from her, so they contacted relatives in Central Florida. Friends and family in Florida, who hadn't heard from Roman since Oct. 31, contacted the Sheriff's Office on Wednesday. They had seen news reports about the body being found. Roman's remains were found in an undeveloped area in northeast Polk. Authorities have not disclosed how she died. The Medical Examiner's Office identified Roman through dental records Thursday. Balzourt may have been driving Roman's 2007 silver Ford Edge in the area where her body was found off Marlin Drive and Lake Marion Creek Drive in Poinciana. PCSO is asking anyone who saw Balzourt or Roman's car before or after Nov. 1 to call 863-534-6379 or Heartland Crime Stoppers at 800-226-TIPS. Orlando man was known to be the last person to see Solymarie Roman. Published: Thursday, November 29, 2007 at 6:01 a.m.
BARTOW | The boyfriend of 22-year-old Solymarie Roman, whose dead body was found burned and indistinguishable on the side of a road in Poinciana on Nov. 1, has been charged in her death. 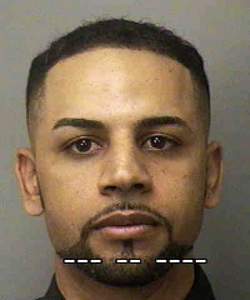 Mourad "Moe" Balzourt, 28, of Orlando, was arrested Wednesday and charged with murder and abuse of a dead human body. After arguing with Roman over contact with an ex-boyfriend on Oct. 31, Balzourt strangled her to death, then dumped and burned her body in an area off Marlin Drive in Poinciana the next day, the Polk County Sheriff's Office said in an arrest report. Balzourt lied to detectives about his whereabouts, and blood found in the back seat of his car matched Roman's DNA, the arrest report said. Balzourt, who has faced domestic abuse charges in Orange County, was a suspect from the beginning. Detectives first became suspicious when Balzourt made conflicting statements during two interviews. Also, he never reported Roman missing, despite the fact that, at the start of the investigation, he was known to have been the last person to see her alive, the Sheriff's Office said. The arrest report indicates Balzourt may have been jealous of Roman's relationship with her ex-boyfriend, William Jusino. Right before Roman was killed, Balzourt had told Roman to cut off contact with her ex-boyfriend, with whom she was speaking often. Roman hid her contact with Jusino by making three-way phone calls to a friend from Puerto Rico so that Jusino's phone number would not appear on the bill, the arrest report said. According to the report, Balzourt called Jusino on Oct. 31 and confronted him about his contact with Roman. The next day, Roman called Jusino using the speakerphone on Balzourt's cell phone. Jusino started speaking to Roman in Spanish when he said he heard Balzourt in the background yelling, "English ... English, tell him!" before Roman told him never to call her again, the arrest report said. That was the last time Jusino heard from her. According to the arrest report, after Balzourt killed Roman and left her body in Poinciana, he paid to have his car detailed, but a blood stain police found on the back seat remained visible and tested positive for Roman's DNA. Balzourt's alibi was also false, according to the report. He claimed to have visited his ex-girlfriend, gotten a haircut, and gone to his father's store at a mall before returning home the night Roman's body was found. But his ex-girlfriend told police that he had not gone to her apartment that morning, the report said. Cell phone records indicated that Balzourt had driven south into Polk County toward Poinciana and then back to Orlando. Credit card charges and video surveillance showed that Balzourt had not been at home, the report said. Roman's body was found during a brush fire Nov. 1 but was not identified until Nov. 7 after family members reported her missing and a dental examination revealed a match. Roman's parents live in Puerto Rico. Roman had lived in Florida since childhood and worked at an Orlando-area Holiday Inn. She had relatives in Central Florida but had been living with Balzourt at 5002 Bellhorn Drive in Orlando for several months. Published: Wednesday, December 19, 2007 at 6:01 a.m.
Mourad Balzourt, 28, who was arrested Nov. 28 and charged with murder in the death of his girlfriend, Orlando resident Solymarie Roman, was indicted by a grand jury Monday. Balzourt was indicted on charges of first-degree murder and abuse of a dead human body. The 22-year-old Roman's burned corpse was found on the side of a road in Poinciana on Nov. 1. Her body was unrecognizable, but she was identified by dental records. Balzourt and Roman lived together in Orlando, and the two had argued Oct. 31 because Roman was still talking to an ex-boyfriend, according to Polk County sheriff's investigators. 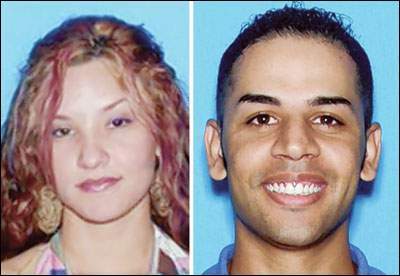 Sheriff's investigators said he strangled Roman to death and then took her body to Poinciana. A flammable substance was used to set her body on fire, which also started a brush fire and led to the discovery of her body, sheriff's investigators said. POINCIANA: An Orlando man has been found guilty of strangling his girlfriend and burning her body on the side of a road in central Florida. Jurors spent two day deliberating before finding 30-year-old Mourad Balzourt guilty Friday of first-degree murder and abuse of a dead human body. Prosecutors say Balzourt killed 22-year-old Solymarie Roman because he was upset that she had been communicating with her ex-boyfriend. Firefighters found the woman's charred body after responding to a brush fire in Poinciana in November 2007. An autopsy determined that Roman was asphyxiated before the fire. He faces life in prison. A sentencing hearing has not been scheduled.